Moving More in Bristol, together. Want to get more active, meet new people and try something new? 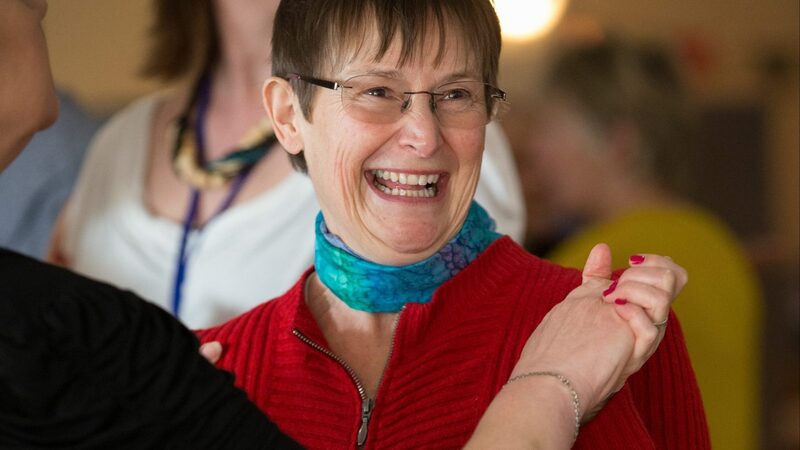 LinkAge Network and Macmillan Cancer Support have been working together since 2015 to support people aged 55+ who are living with and beyond cancer, to access a range of inspiring creative, social and physical activities across Bristol. Within this time, the Macmillan Prevention and Re-enablement project has supported over 350 people. The project has been driven by evidence that being active during or after cancer treatment can improve an individuals overall health and wellbeing, and continuing from this learning the project will be facilitating a ‘Macmillan Activity Week for over 55s’ built on the feedback gained throughout the previous three years. Project Manager Sally says, “Our data shows that getting active together, as demonstrated through our previous Macmillan Wellbeing Days, encourages individuals to engage with activity and local services afterwards”. The Macmillan Activity Week will run from Saturday 30th March – Friday 5th April 2019 and is designed to support people aged 55+, who are living with and beyond cancer, to get active, have fun and feel better. Within this week participants have the opportunity to try an array of community-based activities across Bristol, for free. Collaborating with existing activities in the community showcases what Bristol has to offer in way of physical and social activities. The week will also provide a space for participants to learn of other activities run by the tutor or venue, and similar activities and services available locally. • A Macmillan Activity Week programme to support participants into activity for the week, and beyond, and guide them to services after the project has ended. *Carers and close relatives, aged 55+, are welcome to join in. All activities listed in the programme will be free to attend for the Macmillan Activity Week only, but booking is essential. Please call the Macmillan Team at LinkAge Network on 0117 353 3042 for more information and to book your space. You can visit our website (click here) for a copy of the Macmillan Activity Week programme, or request one to be sent out to you by calling the phone number above. Unless otherwise stated, all activities listed in this programme are regular activities existing in Bristol. All activities are open to the general public. Start planning for an active retirement!